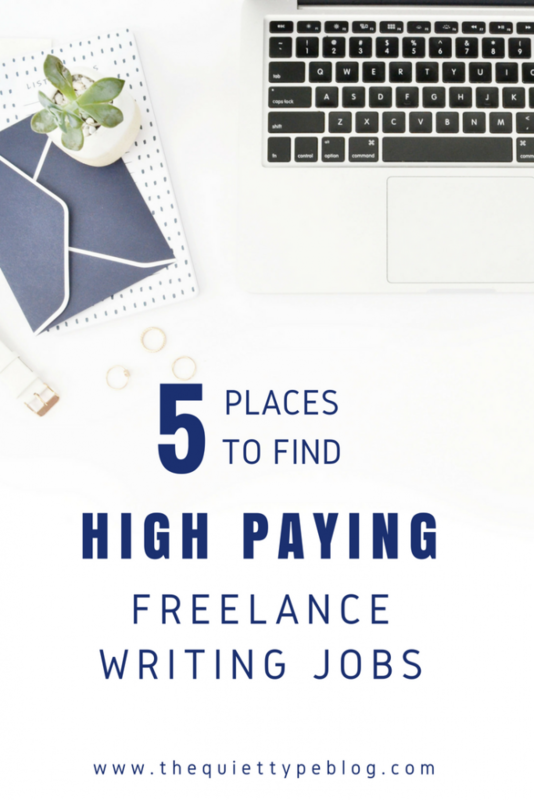 Finding writing jobs is hard for any freelance writer, not just new writers. With sites like Upwork and Fiverr providing a platform for writers, it’s easy to start out assuming everyone is going to pay top dollar for your written words. The truth of the matter is, not everyone respects what writers do. I get it though, and I’ve been there. One of the first jobs I was offered on Upwork was writing lifestyle articles for a webzine. They paid $5 per 800 words and were asking for a minimum of 1600 words per article. We’re talking less than $.01 a word! Even though I didn’t love the pay, I took it. I got burnt out after a few months and grew tired of the hours of work that I was putting into each article, but it was definitely a learning experience. Needless to say, I quit writing for that company after a few months. I also quit Upwork not too long after. So where do you find excellent clients that are willing to pay what you deserve? The truth is, it’s easier than you might think to find them! If you told me that I would be into networking a year ago, I would have laughed in your face. I’m not an extrovert by any means. But, learning to network is part of the freelance game and it doesn’t have to be as scary as it sounds. Yes, I was terrified at first (to be honest, I still get a little nervous) but I’ve found networking to be so beneficial. I’ve made connections with other writers AND I’ve met a lot of potential clients. Word of mouth and referrals come from networking too! Those connections you make with other writers can benefit you in the long run. A writer too swamped with work to take on new projects is likely to refer another writer for the job. That would be you! Likewise, the people you meet may not need a writer right now, but you never know when their needs will change! Providing solid, consistent work for you clients will lead to referrals. In my first year, I gained two clients thanks to the referral of just one long term client. It’s a great feeling knowing my client is so satisfied with the quality of my work they are willing to send their friends my way. True story-I found my first high paying/long term client on Twitter. One day I was scrolling through my Twitter feed and saw a retweet for a company looking for freelance writers to create content for a website they would be launching in the next month or two. I didn’t hear anything for a few weeks but out of the blue, I did! They offered me a freelance position as a contributing writer and I was thrilled. I still write for them and it’s been a great source of income and a way to fine tune my abilities. The point is, social media can be a surprising way to find clients. One of the easiest ways to search for jobs is by using hashtags. Try using one of these on Facebook, Instagram or Twitter! You can also find jobs using Facebook groups! 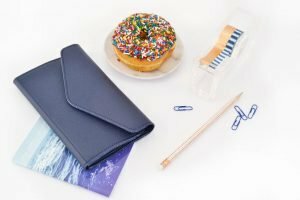 I’ve joined many groups for freelance writers and bloggers and I’ve made connections with other small business owners that want help with things like newsletters and social media. It’s also another great way to gain experience and learn from what other writers and bloggers experiences. If you’ve never used LinkedIn before, it’s essentially a designed to be a digital resume. BUT, LinkedIn is so much more. Not only can you connect with people in your industry and publish articles, you can use it to connect with your dream clients, market your freelance business and even find jobs. Alina Bradford does an amazing job of outlining how to use LinkedIn to find freelance writing jobs in her book, The Fluff-Free Freelance Writing Master Course. Her book is one of the top 5 books I recommend to freelance writers because of the amazing insight Alina provides. Check out this post to see how you can get it for free! If you’ve ever looked for a new job, there’s a pretty good chance you’ve consulted job boards like Indeed, JobsHQ or Monster. This works for freelance writing gigs too! My personal favorite is Indeed.com. About twice a week I search for freelance writing jobs and there is usually a really good variety. I also like it because 9 out of 10 times, the companies looking for writers are willing to invest in quality content rather than low-balling writers, so I’m not wasting my time pitching low paying jobs. One thing I’ve realized about freelancer writers, is that we’re a community that wants to see other writers succeed. Yes, we all want to be the one to get offered the high paying gig, but not by tearing down other writers. 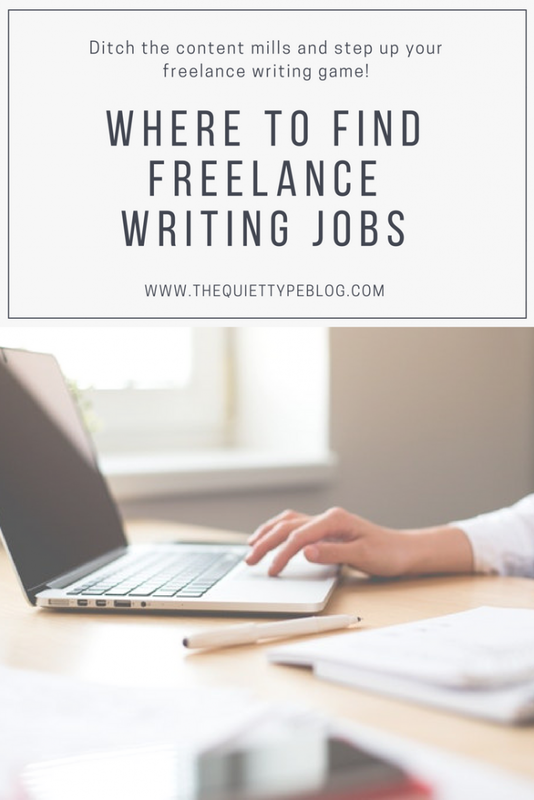 In fact, I’ve found several blogs and websites dedicated to compiling lists of freelance writing jobs from a variety of places and emailing them out to their subscribers. This is honestly one of my favorite ways to find jobs. Not only do I get jobs delivered right to my inbox, saving me a ton of time on the days where I’m swamped, but I also know they’re coming from reliable sources. Adrienne is a freelance writer herself, and sends out a list of 5-10 jobs daily. She’s based in Canada (hence the name) but what I like is that she includes remote positions available internationally as well as jobs only for people in Canada. The one down side I’ve found recently is she’s been a bit inconsistent with sending them out. It’s still worth checking out though because I find when she does send out a list, they consist of pretty good leads. 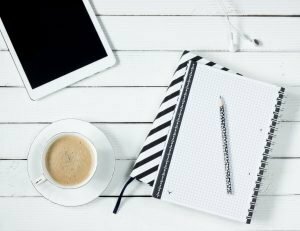 Not only does this site have an email subscription for writing gigs, it also has a TON of information on freelance writing as well as a job board. All the jobs are sorted by category such as blogging, content, copywriting etc so it’s easy to find jobs in your wheelhouse. They’re also sorted by date, so you never have to worry about accidentally applying for an old listing. This newsletter is titled, “Morning Coffee Newsletter,” which is perfect because I typically browse through it as I savor my coffee and check my email. The newsletter usually contains about 10 jobs. One of the things I really like is that it lists relevant skills, the level of pay, and the source of the listing. It makes it really easy to skip over any jobs that don’t fit your style of pay requirements. Time to Go Get Those Freelance Writing Jobs! There you have it! 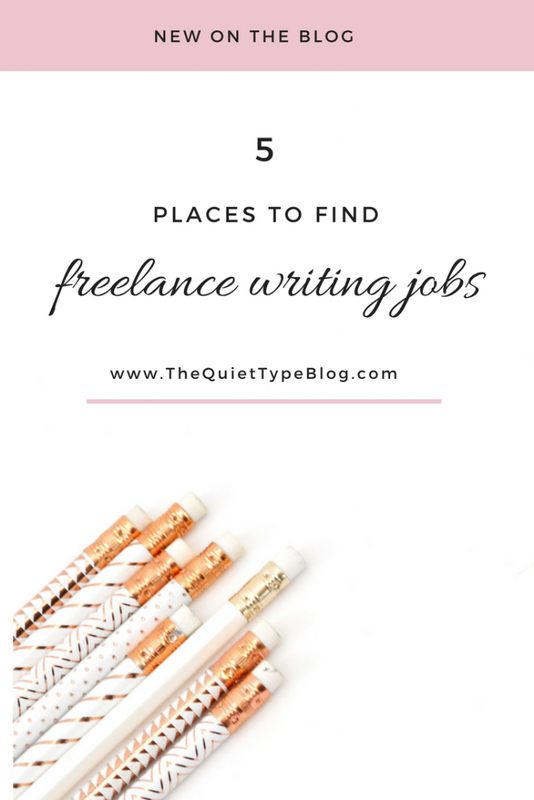 Do you have any tips on where to find freelance writing jobs? I’d love to hear them, so leave a comment below! In the mean time, now that you’ve found gigs you’re interested in, it’s time to start pitching. 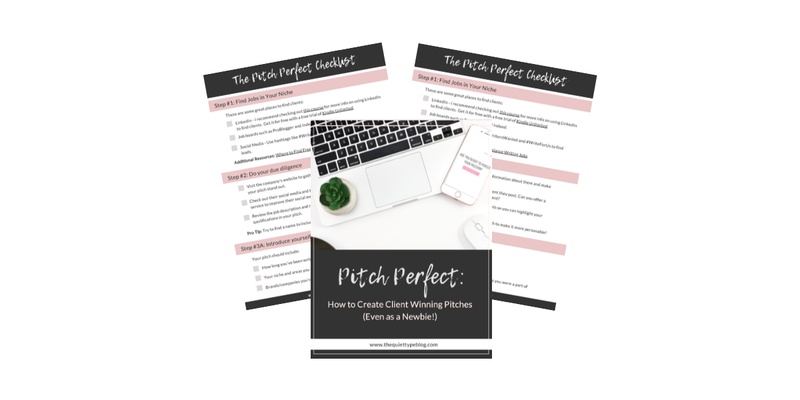 Check out this post on how to send killer pitches and get your hands on my Pitch Perfect Checklist + a bonus freebie! super helpful article, enjoyed reading it! I’m glad you liked it! Thanks for checking it out! Pinning this! I considered going freelance or freelance/part-time for a while so I’ll definitely keep these in mind. 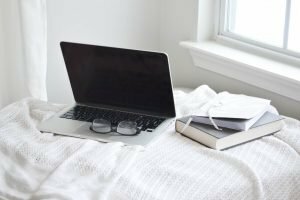 Freelancing has definitely been a game changer for me, so I hope you find these tips useful too! Thanks for pinning!